The property is prominently located at the junction of Derby Street and Woolley Street and within 200 yards of the A665 Cheetham Hill Road. 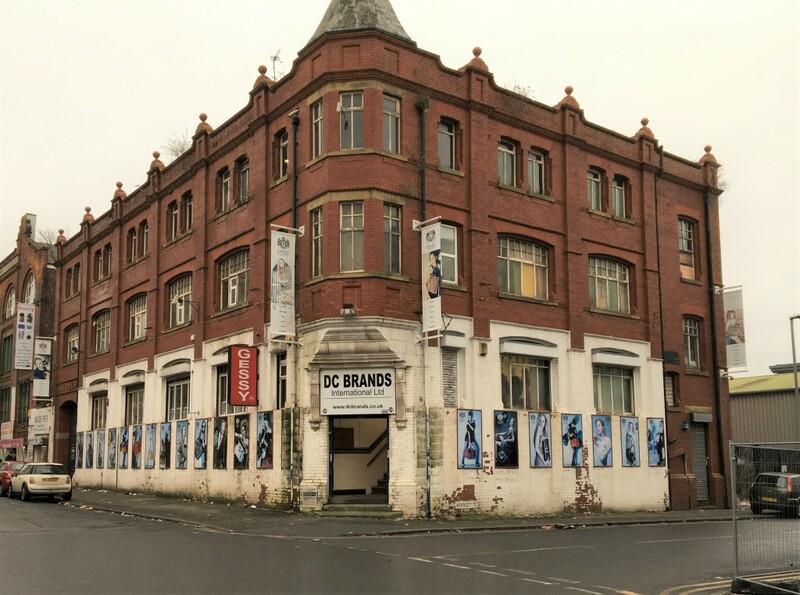 The property lies within the heart of Manchester’s main wholesale/cash and carry area approximately half a mile to the north of the city centre. The property comprises a four storey wholesale/warehouse building of brick construction under a dual pitched slate roof supported on substantial and exposed timer trusses and incorporates a number of glazed roof lights on the northern face. There are windows to both the Derby Street and Woolley Street elevations giving a very good degree of natural illumination. Good loading is provided from Derby Street and there is a dedicated personnel reception at the buildings junction. Each floor provides open plan accommodation which can be easily partitioned depending on the intended use. We estimate that the minimum eaves height is approximately 11 feet. The property currently has two Rateable Values in the 2010 rating list. The ground floor and sub-ground floor have a combined rateable value of £11,500 and the 1st and 2nd floors have a combined rateable value of £8,600. We estimate that the rates payable in the current year (2016/2017) will be in the order of £5,566.00 for the ground and lower ground floors and the 1st and 2nd floors £4,162.40. We are of the opinion that the property may benefit from Small Business Rating Relief. This could have the effect of reducing the rates payable at the property. Further enquiries should be directed to the Commercial Rating Team at Manchester City Council. We understand that the property has the benefit of mains gas; three phase electricity, water and drainage connections. A gas fired central heating system serves each floor and lighting is predominantly by fluorescent tubes. The building also has a fitted intruder alarm, sprinkler system and a 1 tonne capacity goods lift that we believe was installed in 1986. The property is offered To Let on the basis of a new Full Repairing and Insuring lease for a period to be agreed. Rental offers in the region of £70,000 per annum are sought.